Signed by the artist, numbered, stamped by our publishing house and Walter Editions. For the first time since 2016, the beginning of when Tilt started to work on the “Layers” series, he decided to work in black and white. Used to represent a chromatic color chaos common in the graffiti, he decided now to take some distance from the colors to focus on shapes, energy and marks. It’s also a way of interacting with Craig Costello’s work and his artworks in black and white. 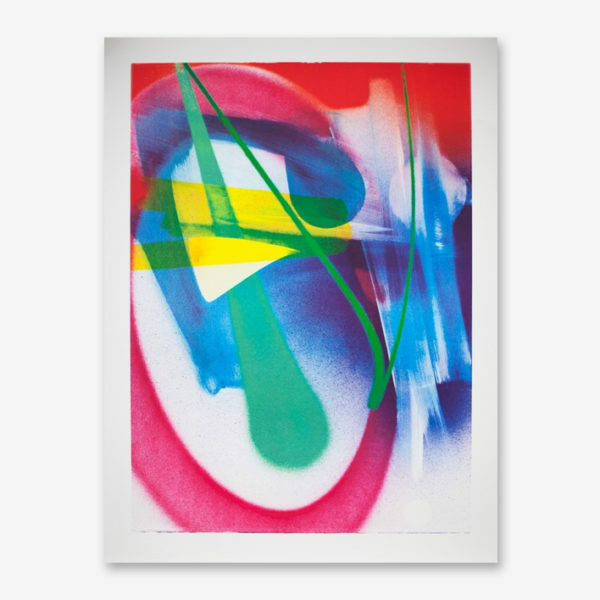 Indeed, this lithograph “Layers 30” has been produced in collaboration with Walter Editions as part of a duo exhibition between Craig Costello and Tilt, called “Fundamentals” at Hangar 107 in Rouen, on view until the 26th of May 2019. Born in 1973 in Toulouse, where he still lives and works, TILT is an internationally recognized graffiti artist. His passion for skateboarding naturally led him to discover a whole new universe at a very young age. In this world he came across the aesthetics and philosophy of graffiti, the transgressions it implied, as well as a place where the concept of public space is constantly challenged, as it has become a playground. Not to mention, he was also faced up with the core issue of individual freedom within a particular territory or area. During his ensuing career, Tilt has developed an abstract language deeply connected with the entireness of the performative gesture, with the primitive and raw nature of the outline, and the way it is written on a particular surface, located in a particular place in the world. His anti-aesthetic approach is made of destruction, disintegration, and elimination. He breaks all layouts apart, he plays with scales, while decontextualizing raw graffiti pieces or random items from the streets to expose them in brand new spaces. And yet, beyond this seeming bluntness, his work creates an expectation among the viewers, as it takes time to unveil; to be fully read. Letters have become pieces and echoes that would take shape through the language plasticity. The hints and references to the classic graffiti legacy are hidden and juxtaposed, as they become the combination of many different street writing styles. Tilt’s wall paintings, as well as the rest of his works, are the product of an ongoing dialogue between the urban space and a reflection of all the codes of this night-time underground culture, of the different groups belonging to it. It is about what brings them together and what makes them stronger. He has transformed his marks on city walls into rituals that he would spread all around the world.